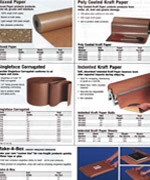 At New Day Packaging Products, we distribute over 10,000 different types of shipping supplies from our network of trusted manufacturers. With our insulated shippers, we can ensure that temperature sensitive items are packed and shipped safely to customers without damage or loss. Made from thick molded EPS foam, these economical containers are light-weight, reusable, and recyclable. 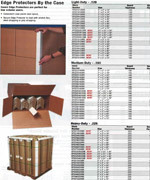 Regardless of size, each container includes a corresponding white corrugated carton for additional protection. Our line of cold packs is designed to keep perishable items at a constant and desired temperature for food, medical, or equipment preservation. 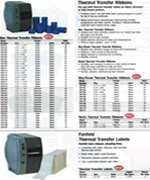 Available in multiple sizes and weights, they provide a uniform chill temperature that can extend shipping times. Leak proof and non-toxic, they’re available in both pouch and brick shapes. For cost effective, light weight, and reusable transportation needs, our plastic pallets are economical and highly durable. They’re sold in economy, industrial, heavy-duty, and rack configurations; well suited for use by forklifts and pallet jacks. They’re easy to handle, resistant to bacteria and reusable for long-term storage when space is limited. Our foam-in-place products include chemically activated Instapak foam that quickly expands to a larger size for shipping. 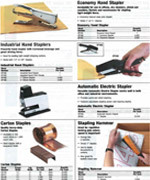 These are well suited for small and medium businesses with limited storage areas. 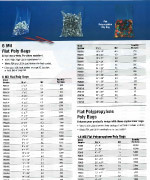 We also sell a complete line of loose fill packing peanuts and dispensers. They’re offered with crumble-free, biodegradable, and economical peanut compositions. 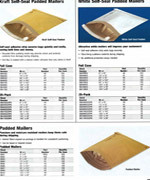 From packing pouches to MSDS safety sheet enclosures, our line of document envelopes easily adhere to any shipping box and will protect cargo information, invoices, and other instructions from the elements.